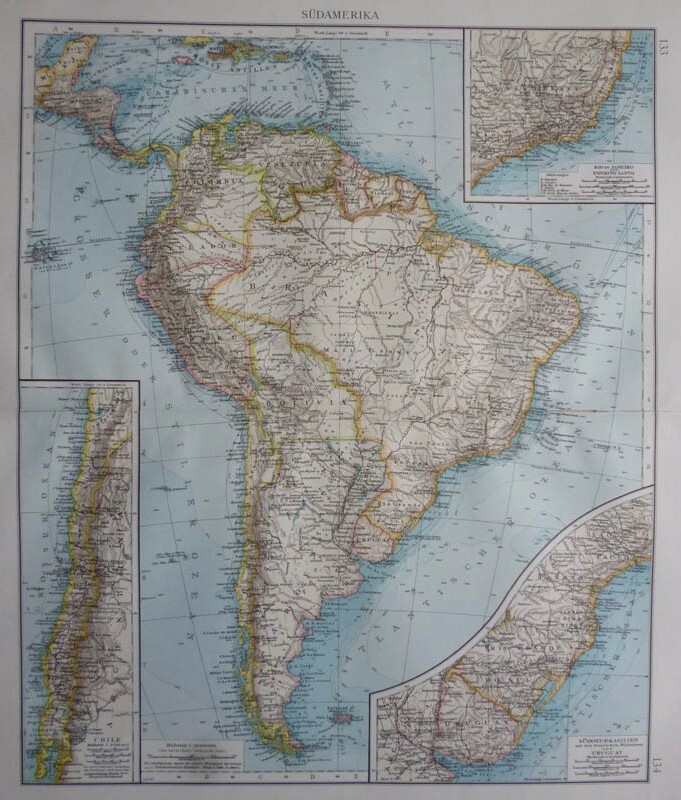 Description Map of South America, with maps of Chile, Southeast Brazil and Uruguay and nearby Rio de Janeiro. In the fold in the Atlantic is a piece cut. Looking for an antique map, historical print or plan? Feel welcome and browse our mapsite atlasandmap.com! We have maps, made by Richard Andree . more maps of South America like SüdamerikaPlease contact us if you don't find where you are looking for! We ship worldwide.